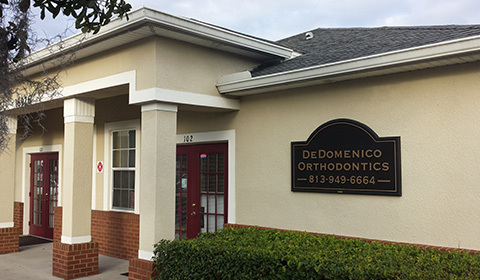 DeDomenico Orthodontics is a family-focused practice that is led by the father and son team of Doctors Ralph and Mathew DeDomenico. We meet the orthodontic needs of adults, teens, and children, and work with you to create your best smile. We are also a Certified Tampa, FL, Invisalign® Preferred Provider and are proud to offer this unique teeth-straightening system to our teen and adult patients. The certification means that we are specially trained in the use of this innovative product to meet the needs of our patients. After selecting the best braces option for your needs, the orthodontists and their team of experienced caregivers will develop and implement a treatment plan that meets your needs, timeframes, and budget. The will keep you informed of each phase of the treatment process and help you meet your goal of a beautiful smile. For a free consultation, please call us at (813)949-6664.